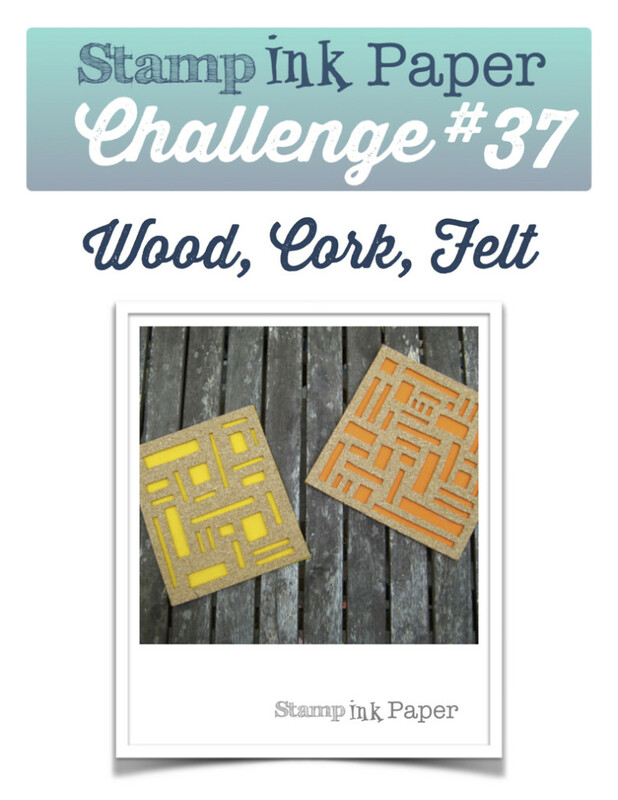 SIP Challenge 37 – Wood, Cork, Felt! Home / 2015-2016 Annual Catalog / SIP Challenge 37 – Wood, Cork, Felt! Hello! It turned out to be a very nice day here yesterday after a brief shower in the morning. 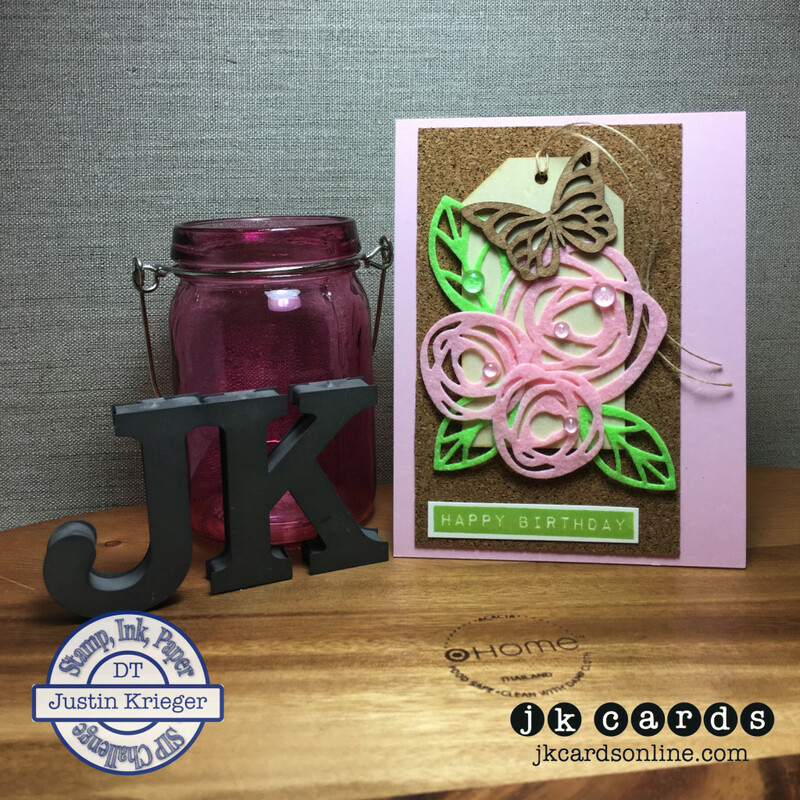 I headed over to Scrap-A-Latte to go and see Renee and finish my cards for the March Lawn Fawn class. We chatted and then had some dinner before I headed home. When I got back to the house I let Winston out and I was standing there reading something on my iPhone when I was startled to see a raccoon the size of a small bear cub walk by me not four feet away! Thankfully I had already let Winston in! YIKES! I guess as long as neither one of us bothers the other one all is good! LOL! This morning I’m off to spend the day at Scrap-A-Latte so Renee can have a little time off. Come by and say hi if you are in the area! This entry was posted in 2015-2016 Annual Catalog, Blog, Cards, Cork, Crafts, Ellen Hutson, Embellishments, Felt, Mama Elephant, Papertrey Ink, Photopolymer, Pretty Pink Posh, Recollections, Simon Says Stamp, Stamps, Wood and tagged Birthday, Card Making, Crafts, Ellen Hutson, Mama Elephant, Simon Says Stamp, SIP Challenge, Stampin' Up!. Bookmark the permalink. That tag is the perfect bkgrd for the flowers and butterfly, and those clear droplets set it off perfectly! Great job! TFS. I really do love those clear droplets, they look so real. Quite a combo of textures on today’s card and they all fall in nicely together. I haven’t tried putting felt through my Sizzix. Do you need to put stabilizer behind it before cutting? Yes, the clear droplets are really cool! I used a metal swim in my big shot when I cut out the felt and didn’t have any trouble. Glad that you enjoyed the card! FABULOUS! Amazing combo of textures, colors and elements Justin. Ok, thought you lived in New York – a raccoon? I give, this is gorgeous! How do you think pf these creative concepts. I love the texture of this. Thanks so much Linda! I love all of the textures too! When I came up with the challenge I knew that I had to use all three! LOL! Raccoons aren’t necessarily scary but yes, they have been known to attack people. We have possums too and they are vicious here! I am going to use felt on my cards more often, I love the texture that it gives!